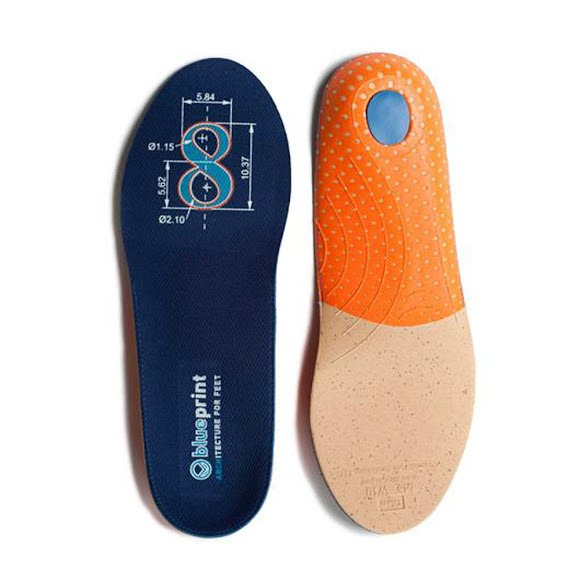 Blueprint Ready-Fit Insoles quickly and inexpensively upgrade the support and cushioning of many types of footwear. They share the anatomical shape of our Podium family of full custom blanks, but can be used immediately without the need for heat molding and finishing. All DFP Ready-Fit insoles feature their own anatomically correct and properly proportioned arches and heel cups. Blueprint Ready-Fit Insoles quickly and inexpensively upgrade the support and cushioning of many types of footwear. They share the anatomical shape of our Podium family of full custom blanks, but can be used immediately without the need for heat molding and finishing. All DFP Ready-Fit insoles feature their own anatomically correct and properly proportioned arches and heel cups. We call it One-on-One™ Sizing. You&apos;ll call it comfortable!